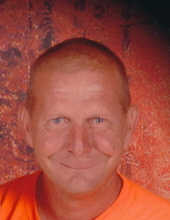 Joseph Howard Miller, 47, Campton passed away Thursday, April 11, at his residence. He is survived by his wife, Brenda Miller; his mother, Mary Miller; two sons, James Miller, Dalton Carter; one stepson, Gregory Watts; one brother, Ursula(Leslie) Whitley; one nephew, Marcus Whitley; one niece, Ladella Whitley. Visitation Saturday, April 13, 9:00 AM. Funeral Saturday, 2:00 PM with Bobby McQuinn officiating. Burial in the Dunn Cemetery at Campton. To send flowers or a remembrance gift to the family of Joseph Howard Miller, please visit our Tribute Store. "Email Address" would like to share the life celebration of Joseph Howard Miller. Click on the "link" to go to share a favorite memory or leave a condolence message for the family.